My visits to grocery stores and pharmacies always are never complete without a peek at the shelves with supplements, especially those created for children. I also spend quite some time online searching for the best options for my clients and parents form my community. more supplements for kids now include iron (yay!). It is harder to mask it’s flavor so not all supplement manufacturers are prepared to handle that. Do not expect to find iron in a vast majority of kids gummy supplement, despite the fact that it is a nutrient of concern for many kids. better delivery methods for some supplements, like vitamin D. I personally like taking mine as a spray and my kids enjoy it too. I do not think they would be as compliant with taking bulky capsules. they taste better and offer more variety of flavors. As you know, taste is a very important factor to consider when choosing a supplement for a child. 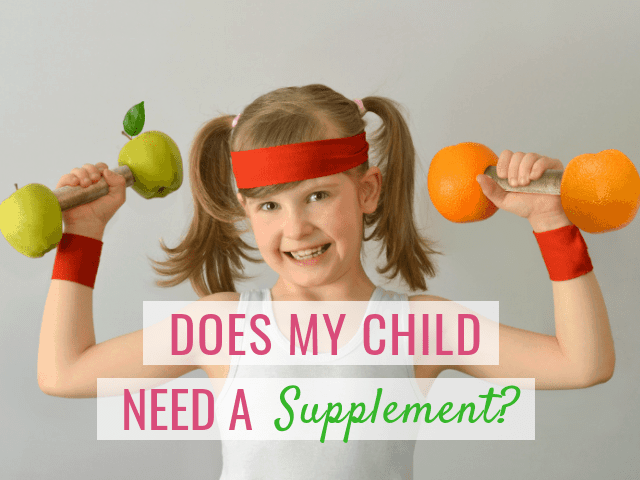 What are the signs that your child may need a supplement? It is possible and advisable to get all 99% of the nutrition our kids need from a diet. The exception is vitamin D I recently discussed in this article. do not have medical conditions that may interfere with the absorption of nutrients, e.g. celiac disease. The truth is, if you reading my blog, chances are your child is not a perfect eater. And in this case, it may be worth looking into supplements to support your little one nutritionally while you are working on optimizing feeding. And I have to be honest with you – my favorite benefit of nutritional supplements for picky eaters is that they give enough peace of mind to parents to step back and create more pressure-free space at meals. But I am always very careful before recommending a supplement. It is very easy to overdo certain nutrients or pick a brand that will not include the nutrients that are more important. Talk to your doctor or dietitian first. Please. They may recommend a specific brand or even a separate nutrient. If your teen is not getting enough calcium, you may need a separate supplement as most “multi” formulas contain a very small amount of it. If your toddler is not getting any Omega3 from the diet, your provider may recommend a fish or algae oil. For a vegan child, you may be recommended to add vitamin B12 from a supplement of fortified foods. If you are choosing a supplement independently, always go for a multi with no more than 100% of the Daily Recommended Amount of nutrients. Some nutrients can be toxic in large amounts. Aim for a comprehensive formula that includes most of the nutrients of concern. Check this article about top 6 nutrients that picky eaters may be struggling to get. A warning: most gummy supplements available now contain only a handful of nutrients, most of which kids easily get from a diet. Take fortified foods into an account. You may be surprised to find out that your child’s breakfast cereal already provides 100% of RDA’s in every bowl. Adding a supplement on top of that may result in the excess intake of certain nutrients. Some research suggest that supplements are not optimally formulated for young children and taking them on top of what children are getting from fortified cereals and formula may result in excessive intake of folate, zinc and vitamin A. Do not worry about the sugar in supplements. Most manufacturers add only a marginal amount that is completely justified, especially if they need to mask the unpleasant flavors of some nutrients, like iron. ALWAYS plan where you will lock the supplement away where small kids cannot reach them. Overdosing on certain nutrients can be extremely dangerous and the fact that some brands look and taste like candy can increase this risk. It is not difficult to meet our nutritional needs with diet alone, especially if we take into account fortified foods. But it is convenient to have the supplement option to support our kids through tough eating patches and to close potential nutritional gaps. Have questions or comments? Let me know in the comments. Hi, Thanku for ur newsletters. Can u suggest me gummies brand for 5yr old. You are welcome! In which country do you live?